The Christ Letter is a conversation partner for pastors and students of the Bible who want to wrestle with the meaning of the biblical text for Christian living today. Scholarly commentaries perform an essential task, but they often leave today’s believers on their own when it comes to making Paul’s letter come alive. 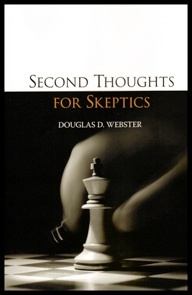 Doug Webster weaves together deep biblical insights, penetrating cultural perspectives, and stories of transformation into a pastoral commentary that promises to release the powerful message of Ephesians. This commentary offers lines of thought, illustrations, and applications that carry the gospel into the present situation. Webster draws out the personal and practical impact of Paul’s spiritual direction for today. The Christ Letter gives pastors a fresh perspective and a better handle on how to preach Ephesians effectively. Webster inspires and guides faithful disciples in what it means to follow Jesus in a Christ-centered way. Click here to order at Wipf and Stock at 20% Off. 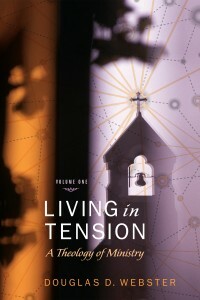 The two-volume Living in Tension offers in-depth spiritual direction on the crucial issues shaping a theology of ministry. This is not a book for pastors only. Webster intentionally blurs the distinction between pastor and congregation. This book is for all believers who take God’s call to salvation, service, sacrifice, and simplicity seriously. Living in Tension provides need-to-know insights for every congregation. Pastors will find that this passionate and practical theology translates well into their own lives and into the life of the church. When we open our homes to friends and strangers, set the table, put on a meal, and break bread together, we invite God’s blessing. This pattern of hospitality is at the heart of the gospel. Food for the body and food for the soul can and does belong together. 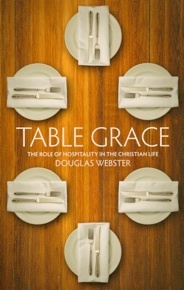 Table fellowship fits into the New Testament narrative so unobtrusively that we can almost miss it. Jesus used simple hospitality and meal time conversations to share some of the most profound truths of the gospel. The Gospel according to Jeremiah provides some of the best statements of hope and promise in all the Bible. Beyond his costly obedience and faithful endurance, Jeremiah expressed the gospel message of hope. He was the prophet of God’s gracious promise: “For I know the plans I have for you, plans to prosper you and not to harm you, plans to give you hope and a future.” He would be disappointed to be remembered only for his messages of judgment and lamentation, because he saw himself as the prophet of the Lord’s new covenant. Long before the Word was made flesh and dwelt among us, Jeremiah embodied the Gethsemane mind-set, took up his cross daily and lived in the power of the resurrection. In his hard-hitting prophetic message, the hope of the Gospel prevailed. 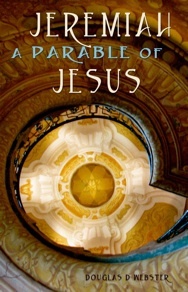 Jeremiah’s life was a parable of Jesus pointing forward to “The Lord Our Righteousness.” Jeremiah didn’t sermonize, he embodied the word of the Lord in his life and character. He was not the Incarnate One, but he lived an incarnational life.